There is no denying it, new babies are expensive! Even if you are a budgeting pro a newborn can throw your finances for a loop. 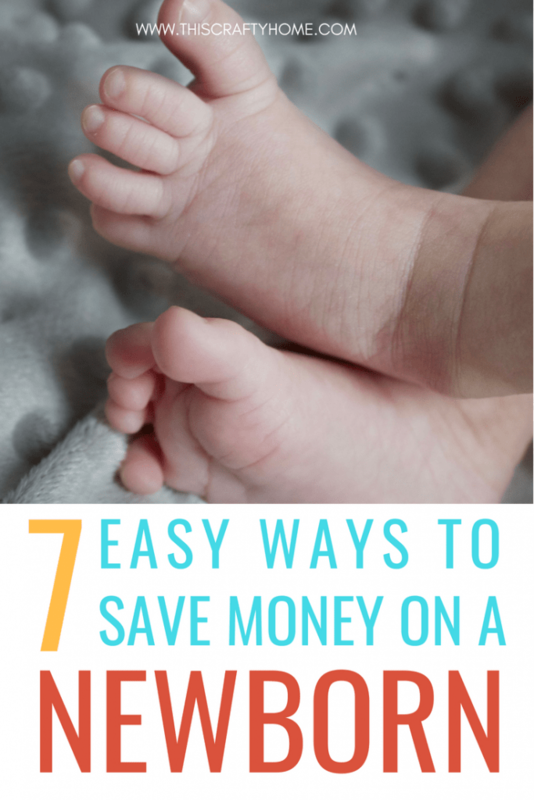 In our first year of trying to save money, we had a one-year-old and learned a few tricks. Now we are about to have a newborn and our life along with our budget are going to be put to the test. Part of saving money, in general, is making sure that you have a set budget. When you first have your new little one this can sound crazy. But the first step to making sure you aren’t spending crazy amounts of money is to know where your money is going. 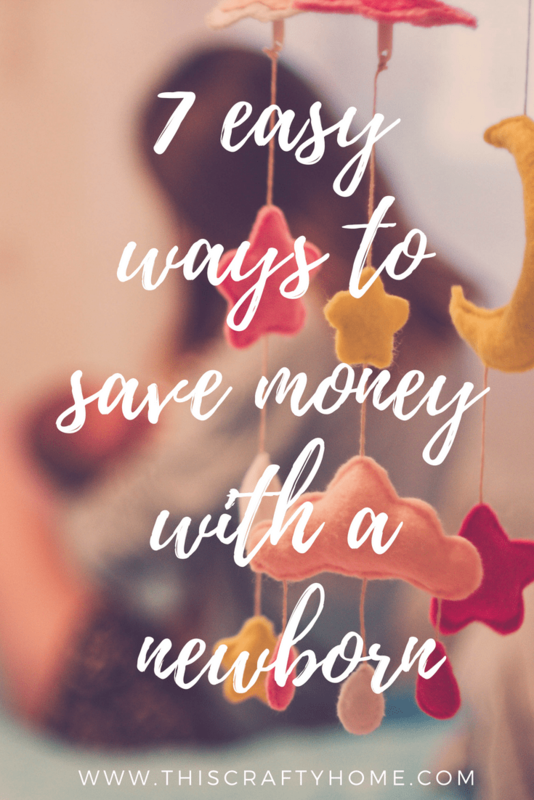 So if you have your budget in place then these tips will definitely be helpful to keep that budget in check once your new baby is here! If you need a guide on creating a budget that actually works for your family click here. 1. Stock up on diapers and use Amazon Prime. Leading up to your little one’s arrival always be on the lookout for good deals on diapers and wipes. My goal was to spend close 14 cents per diaper and 1 cent per wipe. If I could make this number I would stock up (within reason) on different sizes and kinds of wipes. Our local Kroger would have their wipes go on sale and hit this number every few months so each time I grabbed about 10 packs. This is all about keeping an eye out while you shop and catching the sales when they happen. You can follow Krazy Coupon Lady to catch good deals as well! Another way to get closer to the goal cost of diapers and wipes is Amazon Prime! If you convert your account to an Amazon family account you’ll receive a discount on diapers and wipes when you use their subscribe and save program. You do not have to actually subscribe, just wait till your package ships then cancel. In conjunction with this, there are occasionally coupons that you can clip on the page to save a little more, and you can also watch for boxes on discount prices because of returns or damaged packaging. Amazon secret– you can get an (almost) FREE baby box from Amazon by following instructions below. 2. Buy baby products that are multi-functional. For example, we loved our high chair because it easily turned into a booster seat when our baby got big enough to reach the table on her own or our Safety first car seat that goes from newborn all the way to 100 lbs. Picking your products strategically like this will let you spend money once instead of making multiple pricey purchases in the long run. 3. Resist the urge to buy things you don’t really need. This will be incredibly difficult when there are cute outfits and shoes right in front of you. This is where knowing your budget and how much you have spent comes in. This actually may be the hardest one of all the tips I have for you. My best advice is to have a one-track mind and keep your determination. 4. Don’t eat out as much. This may sound like a no-brainer, but when you have a new baby eating out becomes slightly harder. 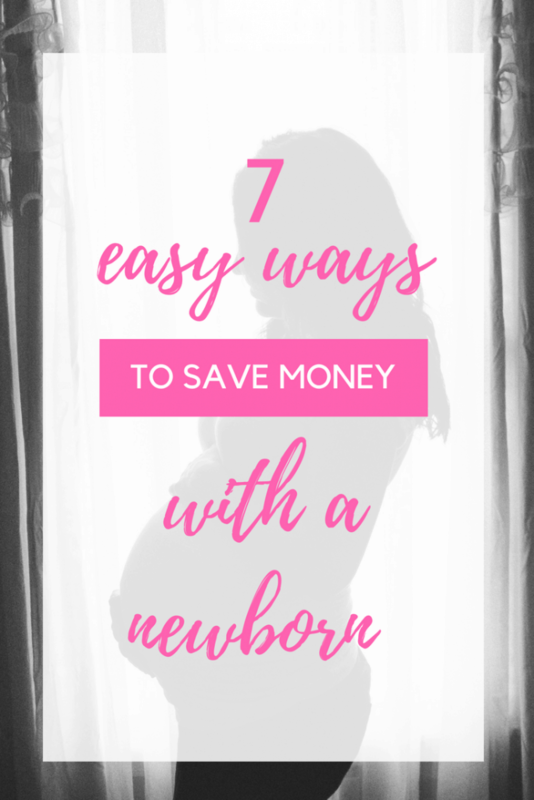 Take advantage of any time you have before your newborn arrives and make freezer meals that you can easily heat up in a crockpot, and premake easy meal plans for about a month so you don’t have to use too much brain power after a sleepless night. Check your local grocers to see who offers grocery pick up, they just became your new best friend. 5. Opt for at home date nights. Date nights may be the last thing on your mind when you have a new baby, but spending that time with your spouse is so important in times like those. Let’s be realistic though, it’s hard to leave your newborn and when you are cutting down on spending it’s not feasible to pay a babysitter. Josh and I started to do date nights at home. We would plan a special meal, rent a movie, and get treats to eat during. The goal would always be to put the baby down for the night then have at least a few hours to ourselves. I can’t tell you how many times she ended up waking up and hanging out with us, but taking that time to do something special still gave us a little breather and saved a lot of money! 6. Shop discount stores or Amazon when needs come up. Inevitably there will always be something extra that you didn’t budget for that you need for baby (hint, build an incidentals category into your budget!) When you need something somewhat quickly there are a few places that you can check to hopefully find what you need a little cheaper. First thing, check around online to get an idea of what the normal price is, then check to see if Amazon is cheaper. Once you have an idea of what a good deal would be, check resale/consignment shops, overstock shops to see if you can find a better price than online. If you end up with the lowest price being Amazon (which happens often), check which stores in your area will price match them and go pick it up in store to get it super fast or opt for their 2-day shipping! 7. Stop any subscriptions you won’t be able to use for a while. Your time will be taken up more than you even realize with a new little one. This is a great time to look at all your subscriptions and go ahead and cancel any that you might not be able to get the value out of that you usually would. 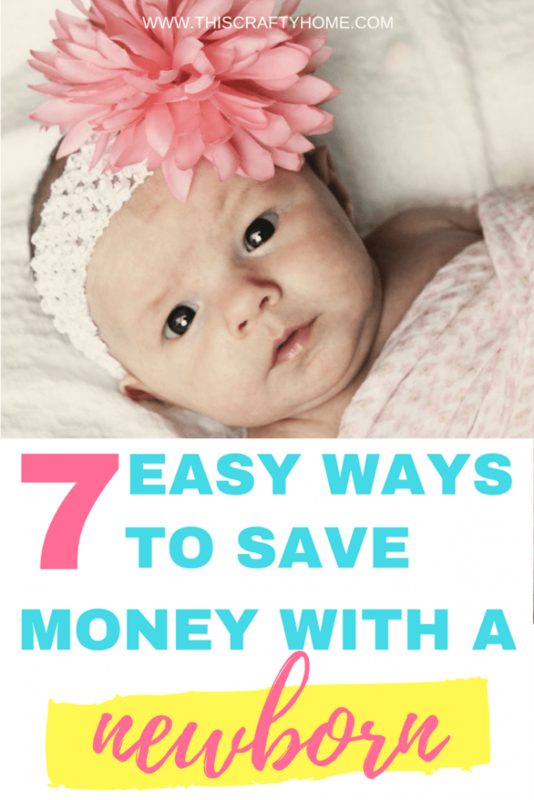 Overall saving money when you have a new baby is all about keeping your head on straight. It’s a crazy emotional time and being able to discern when to let go a little and when you need to stay the course is important. There is no reason to never give yourself a break and order out! Just don’t do it every day. It’s all about balance. Breastfeed. So, I didn’t want to include this one because while breastfeeding may be ‘easy’ for some it can be terrible for others. I know breastfeeding saved us tons of money with our first and I fully plan on doing so with the second. 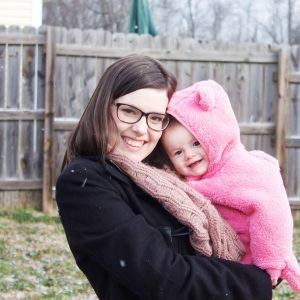 If you want to get more seriously awesome breastfeeding info, there is an awesome class called The Ulitmate Breastfeeding Class. 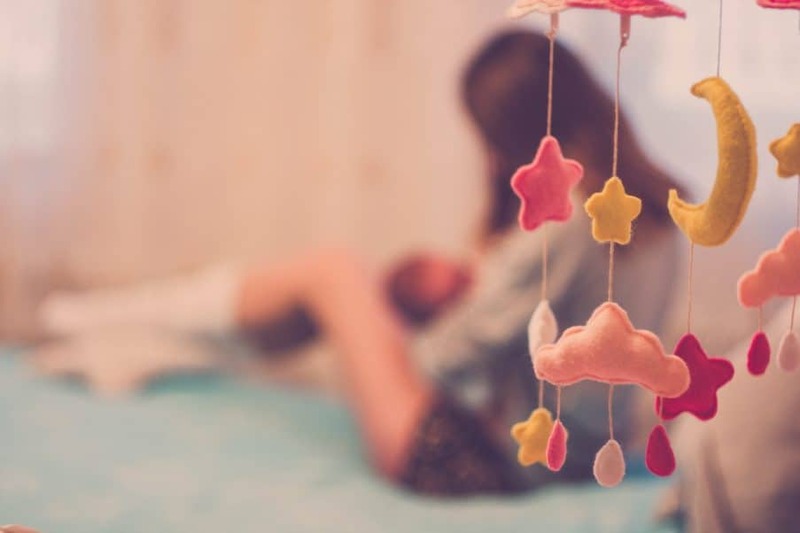 It’s super affordable, and even though I breastfed for a year with my first I still learned things and got some great tips to try with my second. Check out my post on best and worst breastfeeding products here. 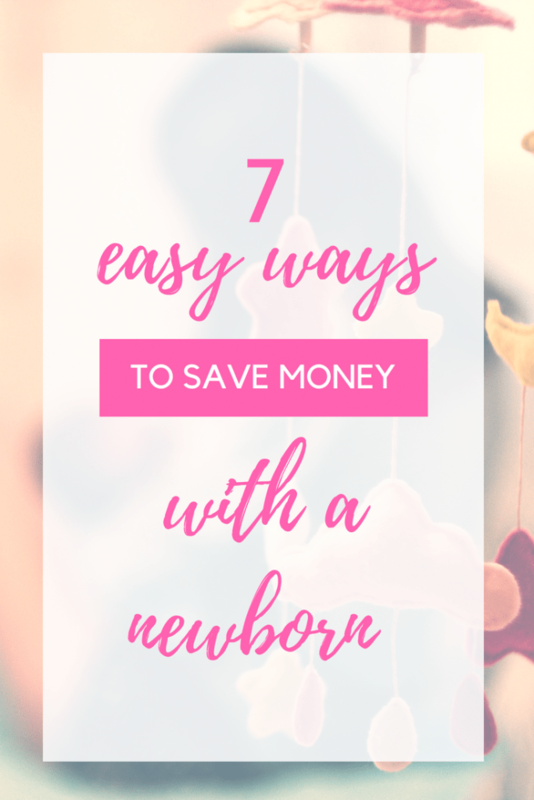 Have any of your own tips or questions on how to save money with a newborn? Share in the comments below! Share this with your fellow mama’s! Great tips! We saved more by using cloth diapers instead of disposables! Also, we got a lot of used items! Yes to used!! We are doing that now with the second. I am SO scared of cloth diapering but I have heard it is much more cost-effective. I’ve been thinking of eliminating paper towels at our house and seeing how that goes- baby steps haha. Such a great collection of tips. Any new parent or parent to be could benefit from reading this post. Amazon prime is the best for baby products. I’ve only bought diapers at an actual store a handful of times. With baby number 2 I fully believe this will be me as well, couponing is great but you can’t beat the time savings of amazon!